President José Mujica of Uruguay has just completed his official six-day visit to the United States. Hoping to secure an agreement that would ensure the blossoming of U.S.-Uruguayan relations, President Mujica undertook the state visit to Washington with the aim of strengthening diplomatic ties with the White House. However, the visit was not without debate. Throughout his time in the U.S. capital, Mujica did not backtrack on the issues of Cuba and Venezuela. The Uruguayan president consistently promoted the normalization of U.S.-Cuban relations and a resolution of the Venezuelan crisis that respects the provisions of the Venezuelan constitution, as opposed to a resolution dictated exclusively by U.S. interests. After Mujica’s meeting with President Barack Obama on May 12, COHA had the opportunity to attend the Uruguayan president’s press conference at the Embassy of Uruguay. Topics of discussion included the implementation of bilateral trade agreements to help fight Uruguay’s inflation, the Uruguayan battle against tobacco, and U.S. involvement in Latin American affairs. The visit also afforded an interesting perspective on the distinct similarities and key differences between the presidencies of Obama and Mujica. During the press conference, Mujica revealed vital details about his exchange with President Obama. In general, Mujica noted that the two leaders praised ongoing Washington-Montevideo relations and discussed how the two countries could better cooperate in the future. 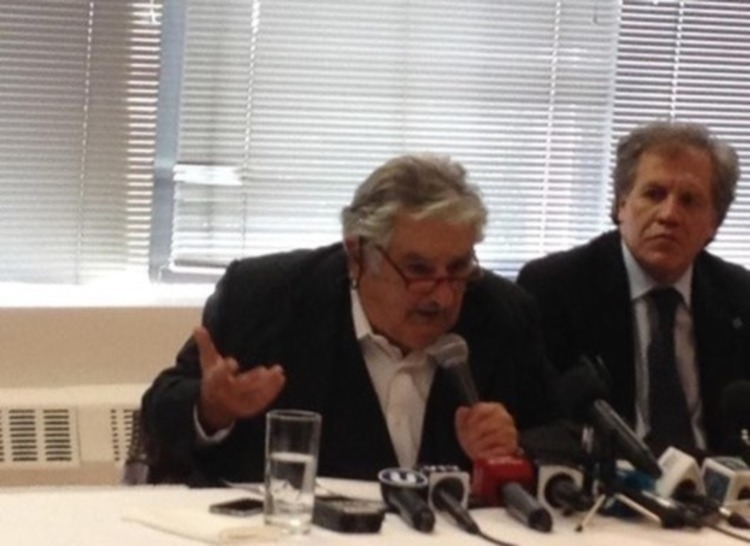 As for Uruguay’s relationship with the United States, President Mujica used the press conference to cite five areas of interest in which he would like to see more progress. Secondly, the two leaders discussed trade and cooperation regarding education. In particular, Mujica explained his interest in hosting American scientists who specialize in agriculture in order to enhance the production of Uruguay’s agricultural sector. The Uruguayan President stated that he was optimistic about this possible agreement after the presidents’ exchange. Mujica closed his time with the international media by referring to U.S.-Brazilian relations. The Uruguayan president took a clear position, declaring, “I asked the President to improve bilateral relations and to respect one of the key countries of Latin America: We need to consider Brazil in its real political dimension.” The partnership between the U.S. and Brazil took a major hit in 2013, when U.S. whistleblower Edward Snowden declared to the world that the National Security Agency had been spying on several leaders across the globe, including Brazilian President Dilma Rousseff. The Brazilian President cancelled a trip to Washington in October, and relations between the two powers have remained strained. 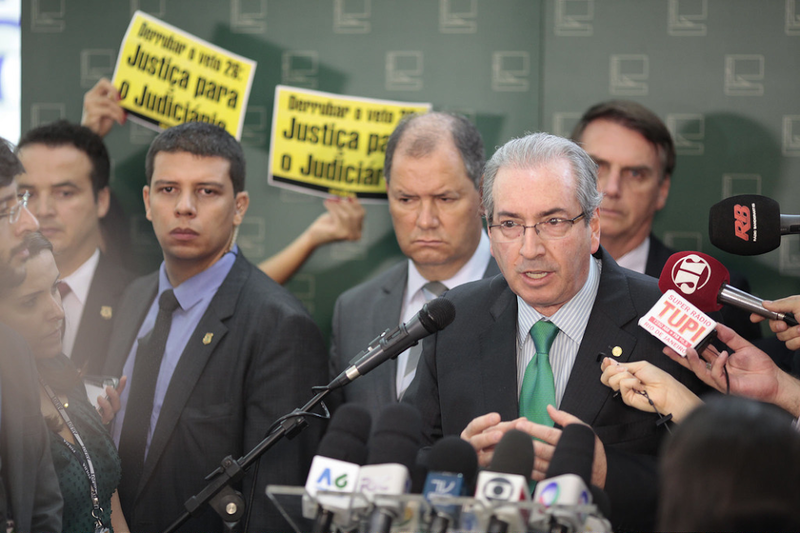 Mujica may be trying to act as a mediator between the two, but it is doubtful that any breakthroughs will occur in the short term, at least before the Brazilian presidential elections are staged later this year. Clearly, the issues discussed between Obama and Mujica were fairly comprehensive. However, it is notable that the question of marijuana legalization was absent from their discussion. Mujica’s visit also highlighted the similarities and differences between the Uruguayan leader and President Obama. At first glance, the heads of state are remarkably similar in many ways. Both used their magnetic personalities and oratorical skills to win their respective elections, promising a departure from the status quo and charming voters with sheer charisma. Mujica and Obama also share a commitment to social welfare and poverty alleviation while still remaining firmly rooted in the globalized capitalist economy. However, upon review of their tangible accomplishments, a number of differences appear between the two. Mujica has managed to deliver on most of his (admittedly modest) campaign promises. He has increased Uruguay’s GDP by nearly 30 percent and reduced income inequality to make it the lowest in Latin America while also increasing foreign direct investment, largely maintaining the upward trajectory of his predecessor, Tabaré Vázquez (2005-10). Furthermore, according to Transparency International, Uruguay under Mujica has the highest transparency rating and lowest corruption perceptions index in Latin America. Mujica also successfully carried out his flagship project, the innovative Juntos public housing program. Obama, on the other hand, has been largely incapable of accomplishing his goals (although admittedly this has been partly due to a hostile legislature). Economic growth under Obama has been modest, and his prize healthcare reform project degenerated into a watered-down trace of its initial bold outline. Finally, while both leaders espouse the ideology of self-determination and oppose neocolonialism, Mujica has become a much more credible source of global moral authority, though on a much smaller playing field. On a more general note, Uruguayan President José Mujica clearly presented himself as a revolutionary idealist who defies all presidential clichés. For example, Mujica never wears a tie, and he did not do so even to meet with President Obama at the White House. When journalists interview him, he hardly tries to be diplomatic. Instead, he openly displays his impassioned character. During his trip to the U.S., Mujica demonstrated his ability to stand his ground against the president of the most powerful country in the world, designating himself as “the leader” of Latin American self-determination. However, it is still unclear whether the leader of a tiny South American country of minor geopolitical significance and with increasing inflation can maintain that kind of leadership role.